Three best friends. One five-star hotel. Will it be the holiday of a lifetime . . .? So when Meredith wins a VIP holiday at Barcelona’s hippest new hotel, they plan to sip champagne with the jet set, party with the glitterati and switch off in unapologetic luxury. 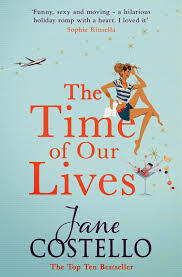 But when the worst crisis of her working life erupts back home, Imogen has to juggle her BlackBerry with a Manhattan, while soothing a hysterical boss and hunting down an AWOL assistant. Between a robbery, a run-in with hotel security staff and an encounter on a nudist beach that they’d all rather forget, the friends stumble from one disaster to the next. At least Imogen has a distraction in the form of the gorgeous guy who’s always in the right place at the very worst time. Until, that is, his motives start to arouse a few suspicions . . .